See our Kenro shop for full range of Kenro products. Kenro Photo Strut Mount 8x10 Picture Holder Grey is a very lightweight and good looking strut mount which is specifically designed to hold 8x10 size pictures. It is made up of good quality grey card and with grey card backing. It features a precision die cut strut and has a silver stamped border. It is ideal for displaying photos in either a landscape or portrait format. Pictures can be easily fix and remove in a holder. It is perfect for presenting to family and friends or for professional photographers to present to clients. 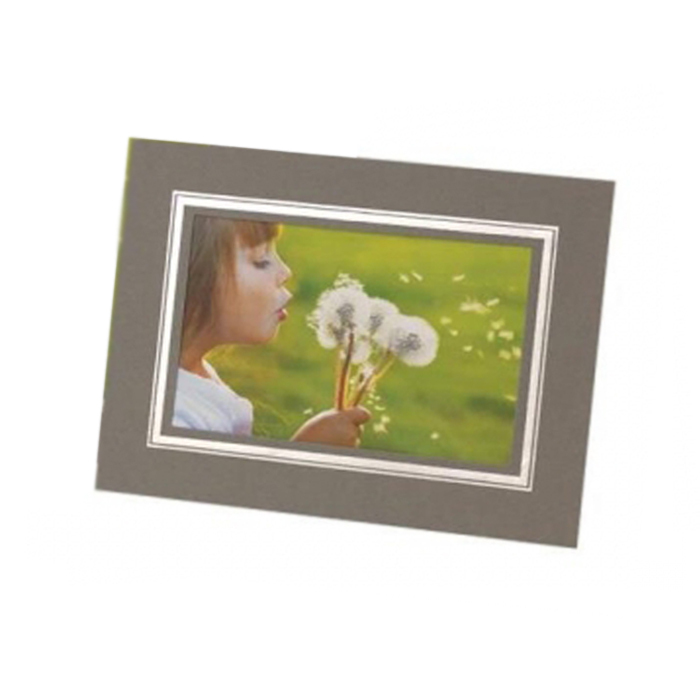 Free standing card photo frames, ideal for displaying photos in either a landscape or portrait format. Manufactured from good quality Grey card and with a grey card backing. Features a precision die cut strut and has a Silver stamped border. For more information about, Kenro Photo Strut Mounts 8x10 Picture Holder Grey - Box of 10 website.